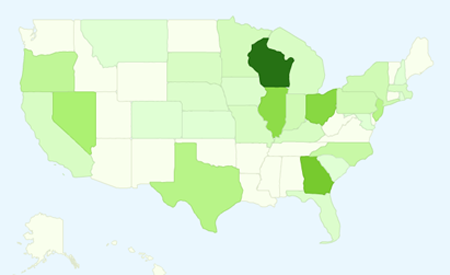 I’m not getting much love in a few States, but I was surprised to see that most of the States are some sort of green…. 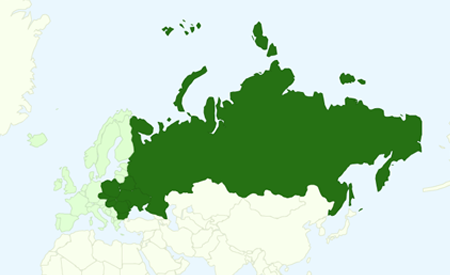 No surprise, I get more love in Eastern Europe than Western. Here is what Czech looks like. Obviously, I would have far more hits in Prague, than else where in the country. 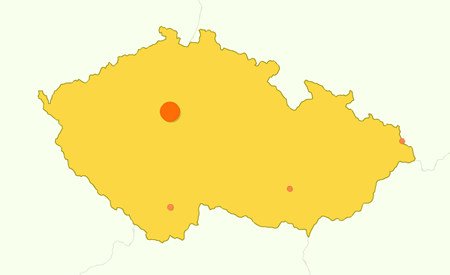 But here is a shout out to the peeps who read my blog in Cesky Tesin, Brno and Ceske Budejovice! UPDATE Before clicking publish, I checked Google Analytics once more and saw that Germany popped up on the grid since yesterday! Hallo aus der Tschechischen Republik und vielen Dank! So here is a shout out to you peeps in Aachen and Halle! Ok, now back to trying to be productive…. Wisconsin rocks? I guess… 😉 Rach, it has to be more than just you to be that shade of green, if it’s only b/c of you, you might be reading my blog too much!